After weeks of speculation, Joe Jonas and Sophie Turner may have finally, inadvertently confirmed their romance thanks to their Thanksgiving weekend together. First, Jonas confirmed on Wednesday’s Live! With Kelly that he and his family and friends were planning on spending Thanksgiving in Mammoth. Then he and Turner were spotted leaving a hotel together on Wednesday in New York City. Then, Turner just happened to post an Instagram photo confirming she was also, conveniently, spending the holiday in Mammoth. After that, on Saturday, the two were spotted together attending the same wedding in Malibu, California, thanks to a photo booth pic Joe’s bro Nick Jonas shared on Instagram. Putting all of these pieces together, it’s hard to deny that Joe and Turner seem to be getting pretty cozy if they’re spending all of Thanksgiving weekend together. Joe has definitely dated his fair share of celebrity ladies (see our slideshow below). 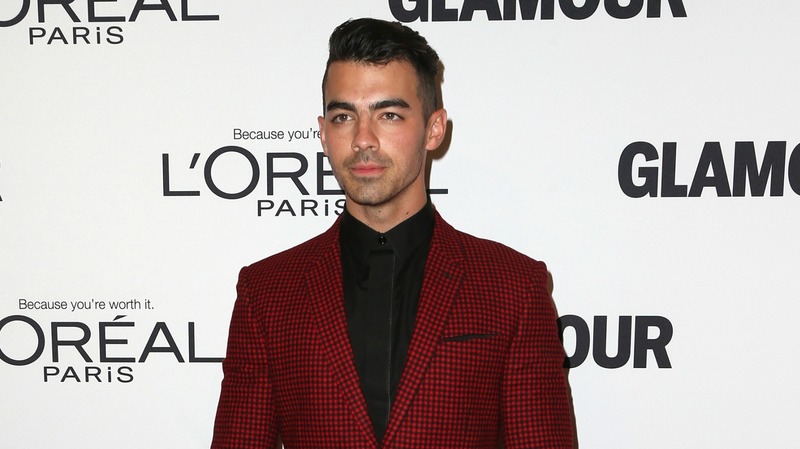 He was last linked to Gigi Hadid, who was said to have left the DNCE singer heartbroken. Perhaps Turner is just the lady Joe needed to turn the page on a new chapter. Do you think Sophie Turner and Joe Jonas make a good couple?